Apologies for awful title, it's late and I'm shattered. I'll think of something better next time. 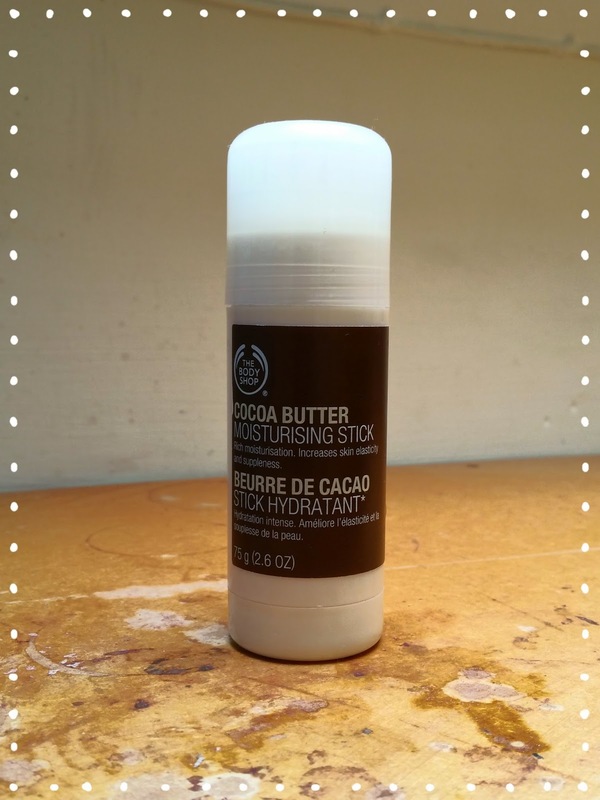 Today I'm tackling my worst habit, moisturising! Despite knowing I should do it to improve the nature of my skin, I cannot stand moisturising, it takes too long to rub in, I end up with a residue, it makes my clothes stick to me...you get the idea... So anything that makes this process easier is a godsend. Voila, Body Shop to the rescue! 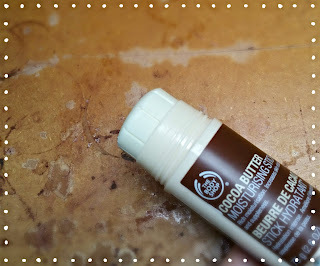 Now we all know cocoa butter is brilliant for the skin, and this little stick is pretty much all cocoa butter. Despite looking like the old school deodorants you can still find in the depths of Savers, this had been my favourite skin purchase of the last six months. I can rub it direct from the stick straight onto my legs and go. No mess on my hands, and no greasy residue to then have to wash off. Also quick and easy is key in my world. I'm a lazy kitty. It smells great too, without being overpowering. A slight vanilla-esque scent, that I've come to associate with cocoa butter. Also doesn't leave weird streaks, always a plus! My main problem? It does flake terribly, and the stick has broken in half straight through. Does it affect the way it rubs onto my legs? Not so much, but I do keep worrying a chunk is going to fall off. It's also not amazing at making my legs feel soft and moistured. Yes, they feel smoother and more cared for, but am I going wow?...ehhh, kinda. For me, what I love is the ease of the product. Also flight friendly, so yay all you hand luggage only travellers. However for those prepared to spend more time and effort, this isn't for you. Look more towards Body Shop's other moisturiser ranges,(which all smell delicious btw), which will soak into the skin and leave it feeling truly loved. Find it here for £7, as well as their full cocoa butter range. What about you guys? What are your quick easy fixes, and do you have any top tips for a lazy moisturiser? An insight into the world of an individual who is far too interested in beauty, far too broke to indulge in every aspect of beauty, and far too lazy/busy/forgetful to commit to a routine... Sounds familiar at all? Then stop by, and enjoy a read. Lime and Dandy cotton candy! And I'm back; with my working basics. Okay well here we go, From the wilds of the midlands I bring you a review! On one of my delightful Christmas presents from the boy.